We review here the lives of two individuals who particularly influenced Murshid Samuel Lewis'	creation of the Dances of Universal Peace: Sufi mystic and teacher Hazrat Inayat Khan and modern dance pioneer Ruth St. Denis. Excellent biographies of other spiritual teachers and associates of Samuel Lewis, including Zen master Nyogen Senzaki, Hindu mystic and sage Papa Ramdas,	Sufi Barkat Ali, Joe and Guin Miller and others can be found on the Sufi Ruhaniat International website. One of the great figures of western spirituality in the 20th century, Inayat Khan was born in 1882 into a noble Indian Muslim family, and into a long family lineage of Indian classical musicians. Maula Bakhsh, known as the “Beethoven of India,” was Inayat's grandfather. Raised in his grandfather’s household, a religiously eclectic and musically sophisticated environment, he received a rigorous training in Indian classical music and showed early prodigious talent as a singer, poet, composer and instrumentalist on the vina. Before age 20 he became a full music professor at the Gayanshala, a forerunner of the University of Baroda. Inayat Khan showed an early natural interest in spirituality. As a young man he was initiated into multiple schools of Sufism, including initiation by Shaykh Muhammed Abu Hashim Madani into the Chisti order, an order known for honoring music as an expression of the Divine. Sufism is an esoteric path of awakening the heart and opening to the truth of being. Inayat Khan received a deep Sufi training that included Indian philosophy, yogic practices and comparative religion. 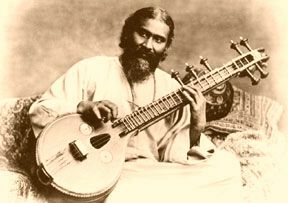 Sufi Inayat Khan first traveled to the West in 1910 at age 28 as a member of the Royal Hindustani musicians, a touring troupe which included his brother and cousin. The group gave concerts widely in the United States. Later, at the request of his shaykh, Inayat returned from India to teach and to bring the Sufi message to the West. He eventually married Ora Ray Baker and they had three children: Vilayat (later head of the Sufi Order of the West), Hidayat (later head of the Sufi Movement) and a daughter, Noor-un-Nisa (a member of the French Resistance in WWII who perished during the war). The family settled in Suresnes, France, and from there Inayat Khan traveled and lectured widely on three continents. Samuel Lewis, the originator of the Dances of Universal Peace, first met Inayat Khan in 1923 in San Francisco. Lewis had received a vision of Inayat Khan the day before, and spoke of his first encounter with the master in person as imbued with a "tremendous light." 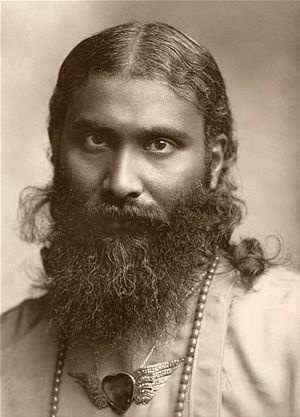 Inayat Khan initiated him into Sufism on June 21, 1923; Lewis later reported, “Inayat Khan was the first person to ever touch my heart.”1 Samuel Lewis had a number of meetings with Inayat Khan in the ensuing years and worked closely with his appointed successor in the United States, Murshida Rabia Martin. Throughout the course of his teaching in Europe and America Inayat Khan worked to build a movement of spiritual liberty based on the primacy of the soul and adherence to truth. The honorific title "Hazrat" conferred after his passing signifies his high spiritual attainment and powerful vision. The Dances of Universal Peace spring from this "universalist" perspective, a stance of respect and openness to the truth contained in a sacred phrase or scripture. Inayat Khan emphasized initiation as a step into the unknown; he saw beliefs as simply stepping stones to higher and higher levels of realization. His extensive lectures on these and other topics were notated by followers in Holland and eventually were collected as the Sufi Message of Spiritual Liberty. Those discourses cover virtually every aspect of human life and the spiritual journey. On a return visit to India he passed away on February 5, 1927 after a bout of pneumonia. His sons carried on his work in the United States and Europe. The life of Hazrat Inayat Khan continues to resonate throughout the world as a light, his words as the embodiment of wisdom itself. For more on this master and his teachings see the links below. 2 From Volume V, Spiritual Liberty, The Sufi Message of Hazrat Inayat Khan. Complete Biography of Pir-o-Murshid Inayat Khan - An on-line version of the East-West Publications biography published in 1979. The Vision of God and Man, Confessions - A 1915 biography by R.M.Bloch. The Sufi Message of Hazrat Inayat Khan - The complete works of Hazrat Inayat Khan, rare photos and more on this website. 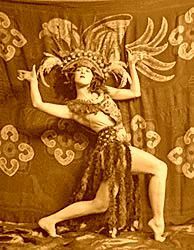 Ruth St. Denis was a visionary, a pioneer of contemporary dance in America. Her groundbreaking work paved the way for the next generation of modern dance pioneers; Martha Graham was among her students. Ruth St. Denis was instrumental in founding the important dance festival at Jacob's Pillow with her partner and collaborator Ted Shawn. She was a sensation in her early years, performing “dance translations” such as Radha and Incense and bringing to the stage Mother Mary, Kwan Yin, The Yogi and other figures of divinity. She danced her vision of each from her own attunement to their inner realization. Integral to her dance approach was embodiment – of life, truth and unity. She wrote, "Our bodies are at once the receiving and transmitting stations for life itself. It is the highest wisdom to recognize this fact and train our bodies to render them sensitive and responsive to nature, art and religion." The dance of the future will no longer be concerned with meaningless dexterities of the body.... Remembering that man is indeed the microcosm, the universe in miniature, the Divine Dance of the future should be able to convey with its slightest gestures some significance of the universe.... As we rise higher in the understanding of ourselves, the national and racial dissonances will be forgotten in the universal rhythms of Truth and Love. We shall sense our unity with all peoples who are moving to that exalted rhythm. For an excellent overview of "Miss Ruth's" life and work see Farrunissa Lila Rosa's essay on the Sufi Ruhaniat website. Complete text of Pioneer and Prophet, Volume 2 which lists all of her dances, with accompanying beautiful photographs, through 1920.